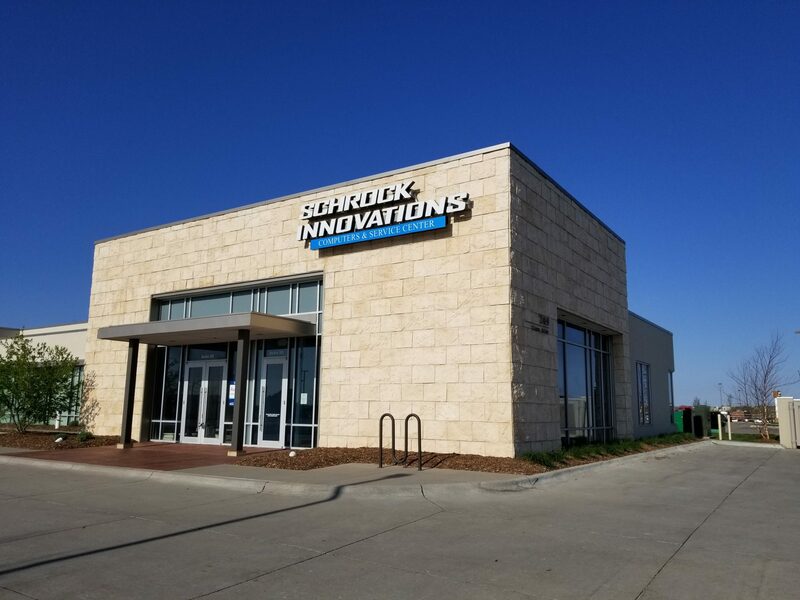 Schrock Innovations’ Papillion Computer Repair Service Center was established in 2011 and is the newest addition to our family. Equipped with 25 bench spots, your PC or Mac is sure to be up in running in record time! Papillion also doubles as Schrock’s warehouse, handling all shipping, receiving, and new Modular computer construction. When you order a PC from our website or any of the Service Centers, this is where it gets built, tested, and customized for you! 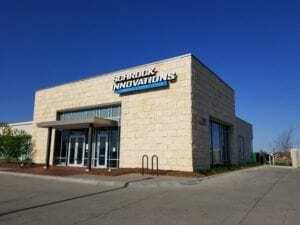 Our Papillion Service Center repairs computers from customers traveling from Iowa, Southern Nebraska, and of course our amazing Air Force active and retired personnel from Bellevue. Excellent job Dylan for your award winning customer service. So I just don't know how to enter things on Facebook. But here is an important piece of information for you. Last Sunday someone wrote or called in on the show that he ran into a not very good technician at one of your stores. I was not paying strict attention to hear what store. That Dylan in Papillion is a great guy. He helped me all the way through the crashed hard drive and helped me get everything restored to my computer. He is uber patient too. Yes, Kevin started with the problem, but I gotta say Dylan kept helping all the way through the weekend. I just had to call him again because Harold somehow again touched something and moved himself to tablet mode. Dylan just patiently walked me to settings and it is fixed. So I hope he was not the person from last week. He is new and admits he does not know everything, but he is willing to learn. I just told him that I think he should get the bonus for employee of the month. Thor, wanted to let you know that Kevin helped me thru the Schrock Desk to renew my EndPoint Software. He was very patient with me and explained each step very carefully and in a way that was easily understood. I'm not familiar with downloading documents and the other steps that were required to get my EndPoint renewed, but Kevin made it painless for me. He made me very proud of myself! I so appreciated his help and pleasant manner in which he conducted himself. Papillion delivering great customer service! We would like to give a shout out to our outstanding employees in our Papillion store. Thanks Kevin for your letter and congratulation to Papillion for giving great customer service. Have you had a similar experience? Let us know! Just wanted to give a shout out to the Papillion Office. On Friday morning I came into the office to a non-working computer. It sees that the windows updated was installed and now I had a non-working computer. It would not boot up. I took it in, explained the problem. The service man took it in the back and fixed it in minutes. It seems that it was trying to boot from the wrong drive. He made the change and I was on my way. Thanks to them for saving the day as I had several important tasks that had to be done and everything was on that computer. Schrock is my go to computer store. Brent from Papillion is awesome! Over the weekend we received a wonderful customer review from Sharon C. that we wanted to share. Sharon, we are pleased that you had a great experience with our employees at the Papillion location. “Thor, Wed. Brent came to my home to hook up my PC for me and I wanted you to know that he really did a great job. I recently moved and needed to have my PC hooked up. When the movers moved my PC, they just put it on the desk with wires everywhere and I had no idea where to even begin to put my PC back together again. I mentioned to Brent that I was having trouble with my keyboard and he noticed that I needed a new keyboard and mouse. He promptly went back to the office and brought back a new keyboard and mouse for me and installed it for me. He took the time to explain things to me as I'm not very computer minded. He is a very capable young gentleman and helped me so much. He really went beyond what was expected of him in such a nice manner. Just thought you should know. I'm a very happy Schrock Innovations customer and have been for a long time and will continue to be.